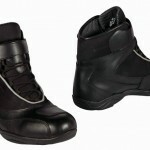 Duchinni have introduced a range of competitively-priced boots to complement their popular helmet collection. 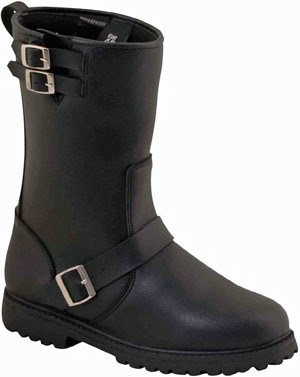 All cost less than £100, have leather uppers and feature waterproof/breathable linings – ideal for riders on a tight budget looking for quality and practicality. The new range includes a variety of styles to suit different tastes and uses. Costing just £74.99, the Mirage boot is made from tough but supple full-grain, vintage-look leather, in a classic baseball boot style. A waterproof and breathable fixed liner keeps the wearer dry when the weather isn’t, the oil-resistant rubber sole helps with firm footing on slippery streets and the toe and heel cups are reinforced. Traditional lace fastening gives a firm and adjustable fit, with a pull-tab to the rear that makes putting them on quick and easy. 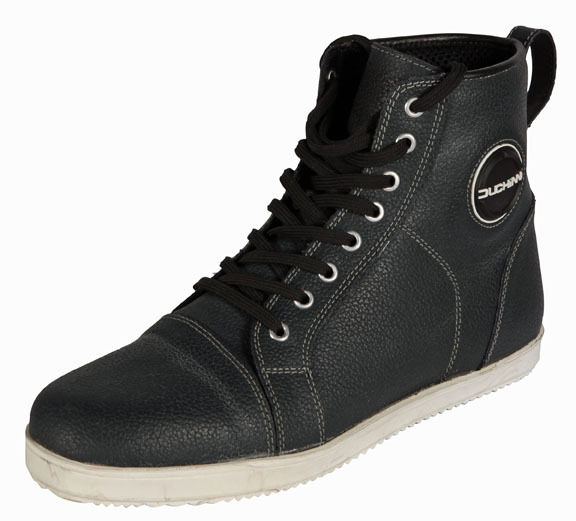 Produced in men’s sizes 6 ½ to 11 ½ (Euro 40-46). Retro-styled and with a thoroughly modern specification, the unisex Classic (£79.99) also has a full-grain leather upper and a fixed waterproof and breathable liner. 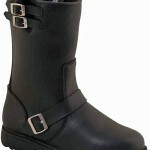 Its deep-treaded, oil-resistant rubber sole is hard-wearing and non-slip, but flexible enough for walking. A reinforced heel cup is included and straps at the calf and foot allow adjustment for a snug and secure fit; they fix with buckles to top-off the ‘engineer boot’ look. Produced in sizes 3 ½ to 12 (Euro 36-47), the Classic will look the part on any cruiser or retro machine. 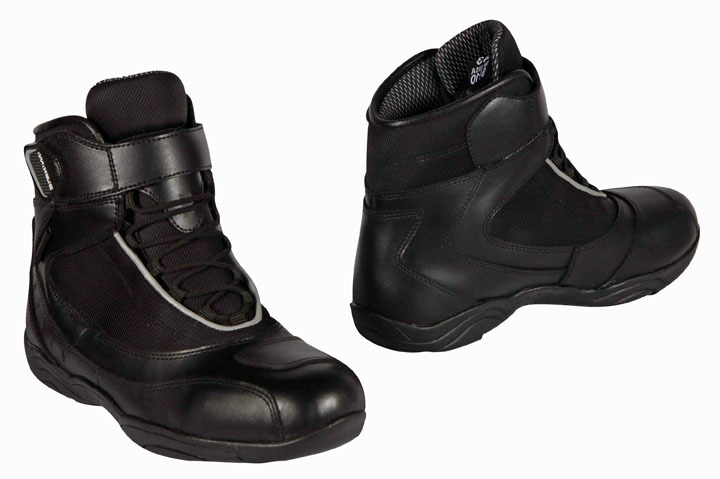 Combining the features of a touring boot with the comfort of an ankle-length design, the Corsa has a full-grain leather and textile upper for flexibility during long days in the saddle. Lined with a waterproof and breathable inner, reflective piping enhances visibility in low light conditions. Rubber, oil-resistant soles help when manoeuvring luggage-laden machines and the lace fastening with a Velcro™ retaining strap at the top keeps them firmly in place. Corsa boots come in sizes 6 ½ to 11 ½ (Euro 40-46) and cost just £74.99 a pair.